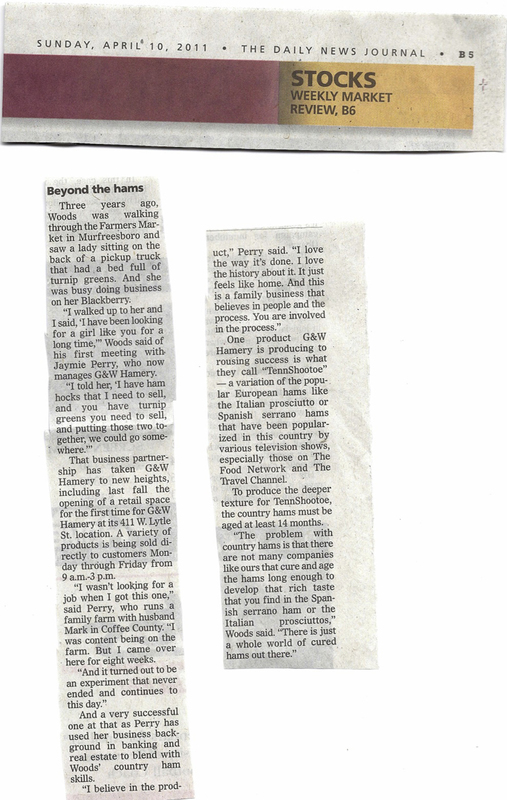 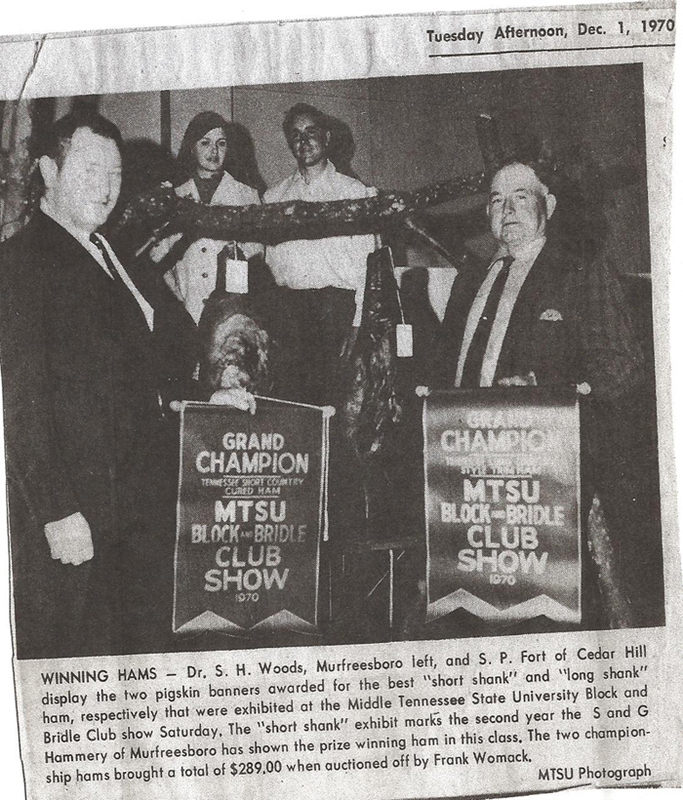 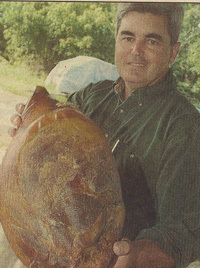 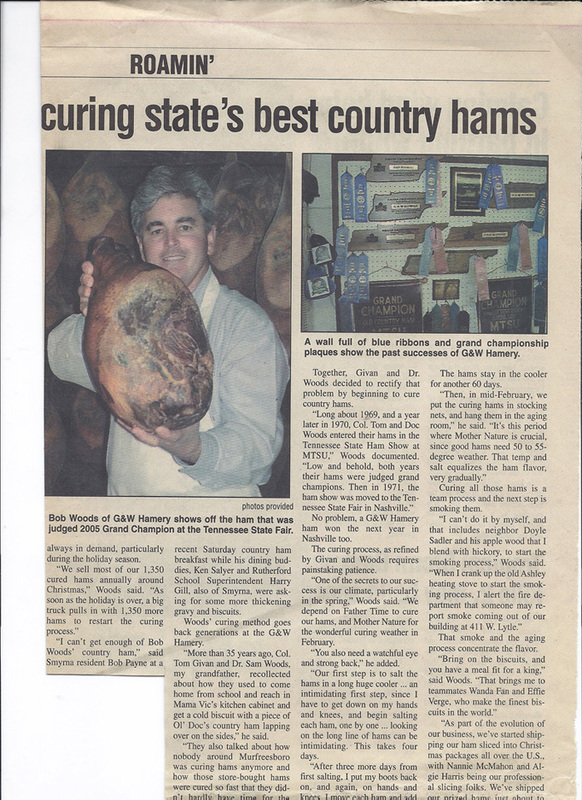 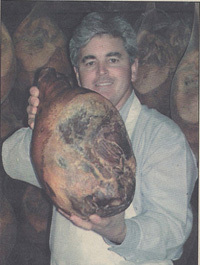 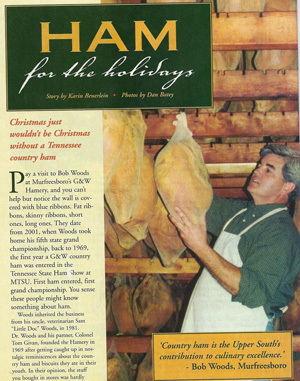 "The Hamery Keeps Tradition Alive" - View the article on DNJ.com. 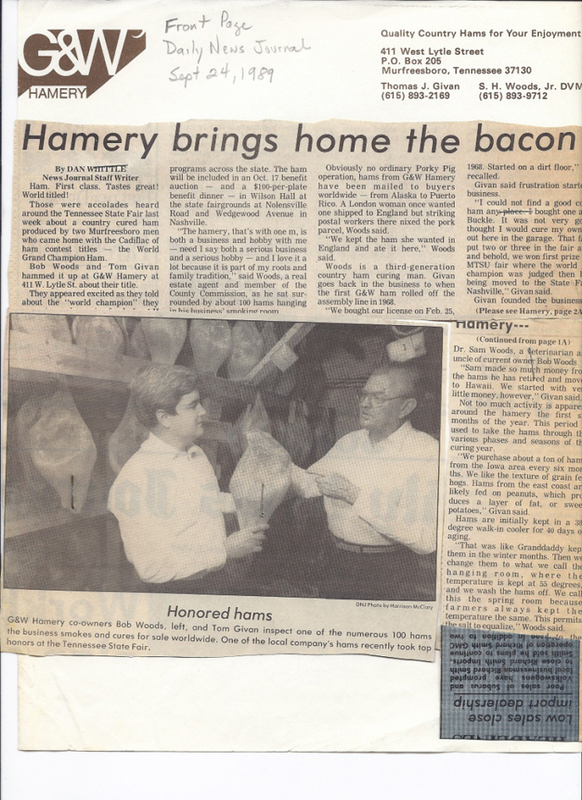 The Hamery's Tennshootoe was recently featured on the Tasting Table. 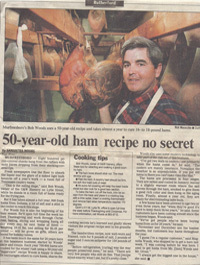 See article. 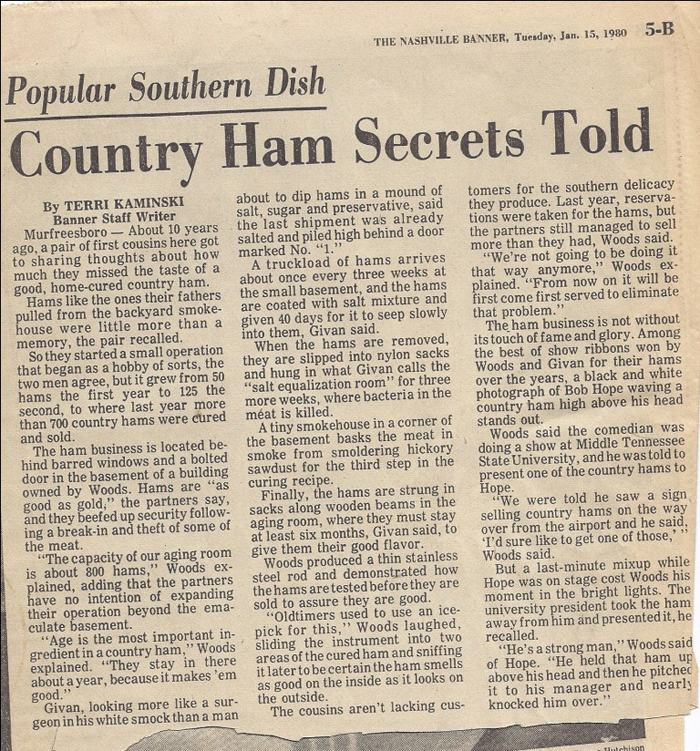 The Hamery was recently featured on the show, Tennessee Crossroads. 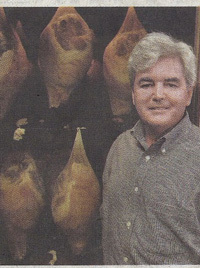 Click to play. 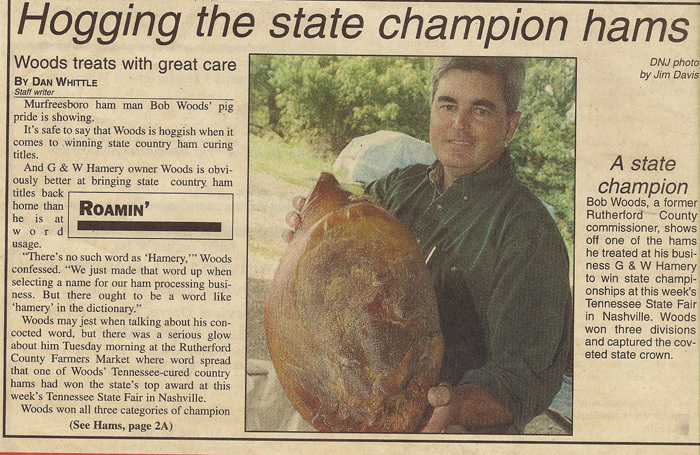 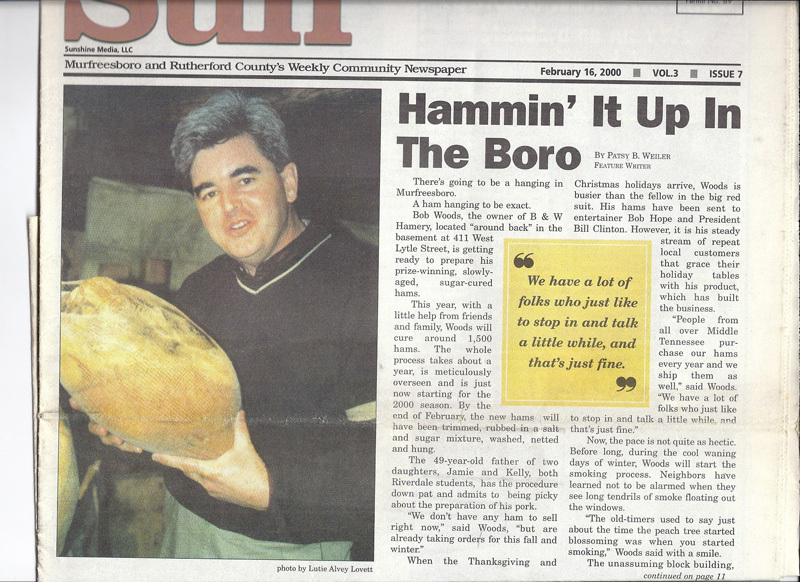 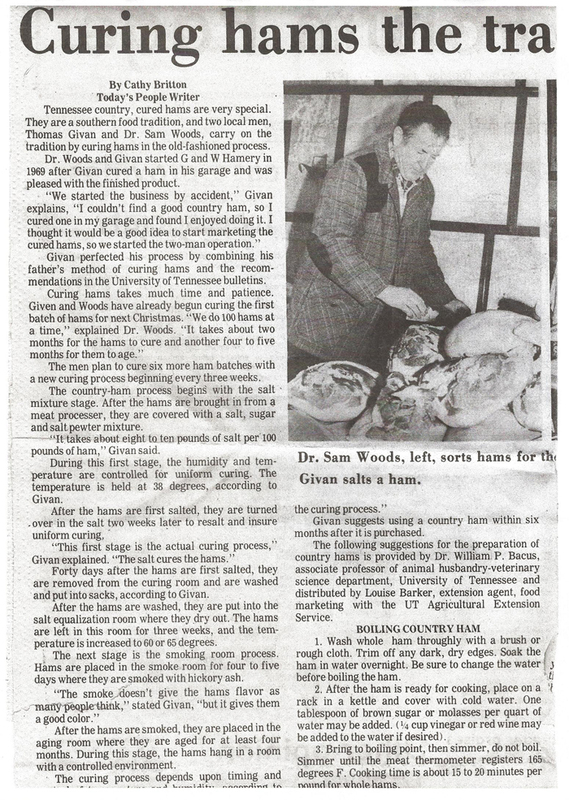 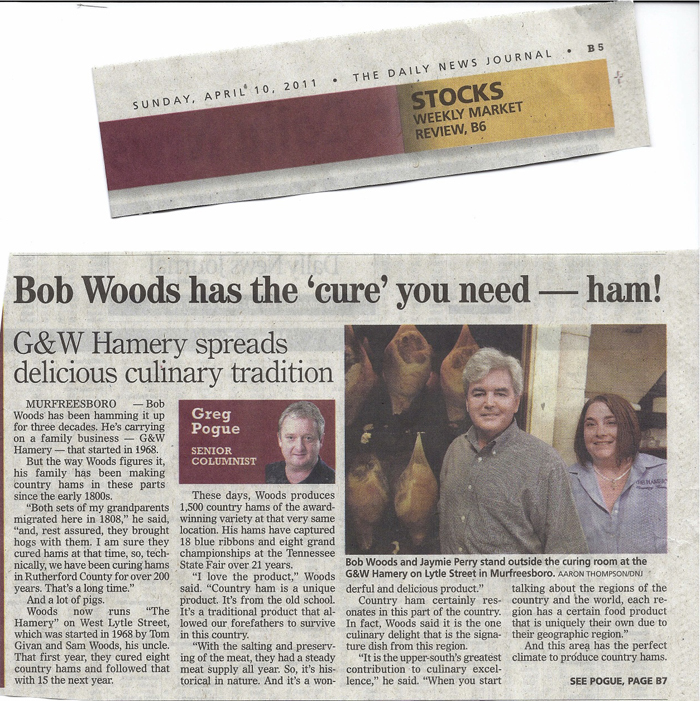 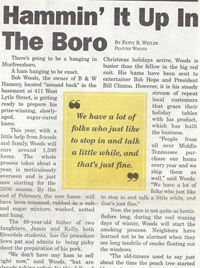 Hammin' It Up In the Boro Bob Woods has the Cure you Need - Ham!